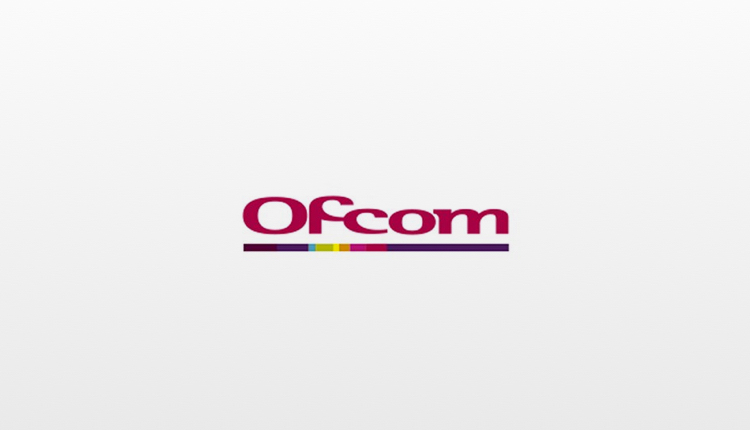 Ofcom has updated its Localness Guidelines for commercial radio stations and will now allow a local commercial radio station to network its breakfast show. The new guidelines reduce the weekday commitment of seven hours locally made programmes produced to three between 6am and 7pm, and removes to the requirement to include breakfast in those hours, if local news is provided at least hourly throughout the same period. Stations will need to request a change to their Format for this to happen, so no immediate changes are expected. 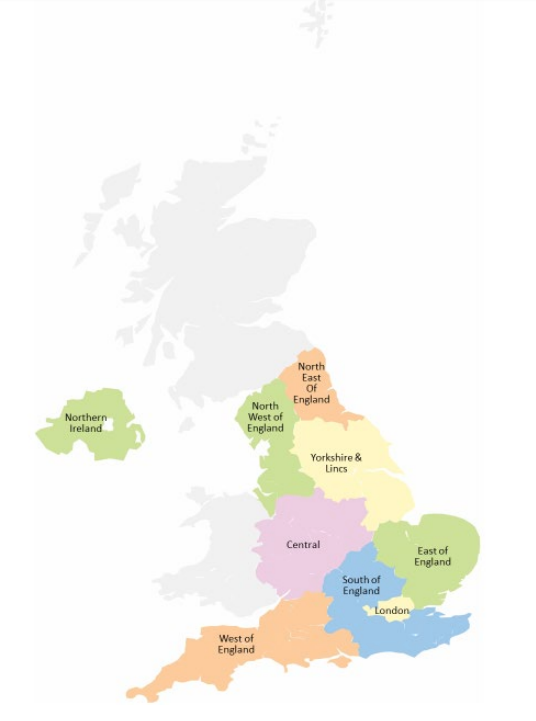 Ofcom’s Approved Areas have also changed to regionals rather than counties – something which was expected via deregulation. Ofcom is currently re-consulting on the approved areas for Scotland and Wales. See the new Approved Areas by licence here. Also, regional stations using the same brand but with different owners, can now network all programmes. Until now, regional stations such as Smooth could not fully network between those owned by Global and those owned by Communicorp. UPDATE MARCH 2019: The above information is subjective. Whilst Ofcom does not have a rule to say this is not possible, all stations need to prove they have some control of their output. Networking 24/7 with a station owned by another company would suggest a station is not in control, so therefore will not be requested by any station owner. Local news and travel news can continue to be made out of areas, but those stations promising an Enhanced’ local news service will be expected to feature more than simply headlines, and to include at the very least one fully-formed local news story, and normally more than this, alongside national stories. Similarly, for Bauer, the “Hits Radio Brand” network can share all programmes including breakfast, with a three-hour locally produced show in each larger Approved Area. One of the new Approved Areas is “West of England” which stretches from Lands End to Southampton and up to Bristol. The move means all of Celador’s content made in Southampton for The Breeze and Sam FM stations in these areas could be fully networked. AM stations generally need not produce locally-made programmes nor broadcast local material. But, each AM station should produce a minimum of 10 hours of programmes during weekday daytimes from within the nation where the station is based. Welcoming the news, Siobhan Kenny, Radiocentre CEO, said: “The new guidelines from Ofcom are a welcome first step to reform the pre-internet rules that still govern commercial radio and help unlock the potential of our industry. Ultimately providing stations with greater flexibility in how they operate will enable them to provide a better service to listeners, while still maintaining a strong commitment to providing trusted local news. Really, This is making radio station in UK even more worser, there so many radio networked too much as it is, it not identity a local radio stations any more, apart from the weather and if we lucky a event gig, stations are playing the same music all the time, on total repeat that why it getting in the charts weeks and week months by months, to me Heart Devon sounds like Heart London, and we need radio not to network and do more local and 24 hours local content not linking up. Why not try Radio Exe, Radio Plymouth or The Voice? These are full local stations based in Devon. I like it! reminds me how glad I am not to be in the ‘local’ radio business now. ‘one fully formed local news story’?! I wish them all well – I suppose on the plus side the market for community stations becomes ever more attractive. Like the comments ‘Welcome first step’-surely Ofcom won’t have anything left to agree to cutback soon.At least one local story in the area per bulletin in an area from Land’s End to Southampton as part of an enhanced news service-you couldn’t make it up!.No doubt community stations will not have such a great ride and reductions in commitments even though they are the ones with less money and potential for advertising,can’t believe what is being allowed to happen,the big boys must be laughing all the way to the Bank. PS:- sad but these are the times. Also, when they were separate, Capital Gold & Classic Gold had 4 local hours per day each so there’s no reason why it can’t work again. If it doesn’t, they’ll just return to opt out mornings. Once again Ofcom are really showing there true colours…. They have slowly but surely killing local independent radio…. What ever as happenend to ILR / ILRN….. What id give to have Radio Hallam back as it was in 1974 when it was born……. You’d have a job as Roger Moffat is deceased, but Keith Skues is still knocking around on the BBC…..
Local and regional radio is becoming a thing of the past, networked breakfast and drivetime is not a good thing. There are top presenters around the country doing great local breakfast shows, I feel for these people as their jobs will soon be at risk. The only winners are the big groups. BBC local stations will be delighted with Ofcom. Welcome to Chris Evans Virgin Breakfast across all stations in the UK not part of the the big 3. As sad as it is that local stations are disappearing, it’s dictated by the profitability of the licences. Simply put, small local services cannot make enough money in their own market to operate and compete with the quality of output from the larger / national groups. Yes. There should be local radio! But listeners have so much choice that it isn’t sustainable to have a live 24/7/365 service for a small patch. 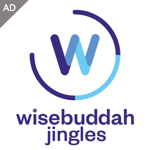 In todays society of streaming, downloading, podcasting and generally demanding, it stands to reason that the services that survive are either backed by lager groups, managed and produced cleverly or simply big enough that they command listeners and talent. The fact is, if things were still sustainable to ensure a profit. Then services would still exist. Local commercial radio is a business. If there is no profit, why be in business? Bear in mind the impact of the other platforms available and competition for advertising. The big money is made across regions, brands and platforms. A single brand offering is a far easier sell across airtime and online. Yes there’s local business willing to advertise. This is where the community sector is missing a trick and hampered still by regulation. You need quality programming, not hospital radio. Sorry but that’s the truth. Then listeners will tune in. But unless they can tie that into more diverse revenue models then it will forever be the chicken and the egg. Frankly Ofcom does the sector a disservice every time it issues yet another tiny licence that needs to fight for existence with the generosity of volunteers. Let the commercial sector regionalise, deregulate and survive. Let the community sector professionalise and fulfill the needs where required, profitably. I stress they should remain not for profit but it doesn’t stop them making a successful business of the station. Equally they should get a percentage of the licence fee. Ofcom has created the opportunity for the commercial sector. I think overall it will be the beginning of a new era. We can’t keep harking back to the 70s of ILR or the 90s boom. What they need now, is to capitalise on this to allow the community sector to thrive. Fair points though I could take issue with you on the quality of the output from some of these larger groups who could provide much better local programming but don’t because Ofcom doesn’t require them to.Certainly agree the community stations should not have their advertising restricted and should have less onerous commitments as they need them more than the big companies.Must admit I like the way stations in the USA etc can keep going and have a wide range of programming without commercials through either raising money via listeners or by owners not interested in profit-just doing it because they want to.That’s we are lacking now-it’s all about profit.The BBC should give us a proper music station for lovers of Soft Rock,Easy Listening,album tracks and specialist music (what Radio 2 doesn’t do most of the time anymore).There needs to be something for the older end of their ridiculous target (35 or over),and i’m not talking wall to wall ‘old style Radio 2 Frances Line era stuff’ but melodic stuff from today and yesterday with much less of the rubbish they play these days. There is no point bemoaning the loss of localism in “ILR” It’s gone. The radio experiment started in 73 has concluded. National brands for Genres is what makes business and audience targeting sense. Unfortunatly the mess that got us here has led to a hotch potch of brands and programming – Had we been realistic and practical we could have had much better organised national networks – but again DAB is solving this issue. We are in different times with different demands both from listeners and from the companies behind the stations. There is a generation who for the most part only know capital or Heart, Radio 210, Chiltern, BRMB , Mercia, Broadland are just names from history.IT IS a shame that OFCOM let “local” news and content be so poor. Yes,whilst not expecting the days of full service ILR to return surely we could better than have ridiculously large regions where if I live in say Hereford I might hear one so called local news story from somewhere like Nottingham in a bulletin and the rest be national news because these two places are in the same large designated area and Ofcom only say there has to be one local story in a bulletin.You might as well scrap the whole thing now and have done with it-it’s worthless except maybe in Wales and Scotland.Also with stations like from UKRD are stations such as Yorkshire Coast which consistently get great audiences now going to have their programmes mostly coming from Cornwall or one of the other stations in the group?.If not how is that companies like Global and Bauer will be able to save so much money whilst the smaller companies (including community stations) providing more local programming will not-it’s madness and totally unfair. The news, travel and other information will continue being local with split bulletins. If you’re in Hereford the information you hear will relate to Hereford & Worcester, although it could be broadcast from a hub in Birmingham or Nottingham. Get ready for Chris Evans Network breakfast show in January. I have my off button ready! The official end of Independent Local Radio. Why bother to have a regulatory body when all it does is cave in to the wishes of corporatism. It doesn’t even seem to do anything when a station has deviated from the rules,there’s a lot of investigating but precious little action as far as I can see,so quite agree with you. The toothless Ofcom caves in yet again. They should have demanded more local content not less. Goodbye local commercial radio. Yet more dumbing down. Global promised enhanced local news coverage when it changed from RAM FM, Leceister Sound, Trent FM and all we got was mainly national and international news stories wrapped up in about 1 minute, and not even every hour. More P45s on the way. Who the hell would want to work for commercial radio? Why not just hand everything to Bauer and Global now as it Ofcom are just handing it to them on a plate anyway. Just abolish Ofcom! Presumably Ofcom will now announce a series of redundancies in their staff, as over the years their decisions have meant less and less “radio” to manage!? Does ANY manager at Radio 2 EVER listen to the weekend output?? We had better presenters on the “Swansea Hospitals Radio Service” back in 1970! It also sounds to me like a station programmed by people who grew up listening to commercial radio in the 80’s and 90’s when specialist programmes were slowly moved to off peak slots and then dropped altogether.A once easy listening station playing music from decades gone by now has much pop and rock music which I didn’t like when it was out (hence I listened to Radio 2 even in my twenties) from that era too as well as far too many of today’s chart hits.The BBC should be providing an alternative not copying. It’s all finished I’m afraid. Ofcom is completely useless and as a result Bauer and Global rule the universe with nothing to stand in their way and Lewis and Carnie have all but destroyed Radio 2 with their copycat stance of Ofcom in taking absolutely no notice of their listeners. Drivetime being the latest total debacle resulting in Simon Mayo one of the few beacons the station had left leaving but of course he is not allowed to say that just has to make out it is due to other projects/commitments. All because of the BBC’s obsession with political correctness and dumbing dowm. One thing that does make my blood better boil is people who continually come on to these comments pages saying that those of us who remember commercial radio from the 70’s early 80’s need to move on and that the same model cannot work in this day and age. It has nothing to do with them not being financially viable but with the big guns setting about and now having achieved with considerable help from Ofcom their total destruction with their repetitive playlist format making all the decent broadcasters with brain cells and a passion for music and their craft leave or be sacked because they just want yes sir people who don’t give a damm about music.You will never convince me that if there was a commercial station around today with the talented likes of the original Capital Radio Dave Cash,Roger Scott, Kenny Everett ,Nicky Horne, Duncan Johnson, Peter Young, Sarah Ward, Tommy Vance, Tony Myatt, Michael Aspel Graham Dene to name but a few could not make a stand alone commercial station work in this day and age and is frankly an absolute insult. Yes you all keep saying it’s a different time and listeners have changed but they have only changed because of what Global et all have done and the destruction they have caused whereby there is no danger in commercial radio now. Don’t play anything that’s a risk just play everything safe. You can take any artist from any era and assuming your lucky enough to even hear that artist on a commercial station now if you were alien listening you would think they had only ever made two or three songs. As I keep repeating I am not saying there is not a place for that type of station but not nearly every single sodding one of them. What makes it worse is that the BBC that we are paying to be different and not keep playing it safe are failing miserably more and more as each week passes. Wish those responsible for this at the Beeb would just leave for commercial radio where they belong as they don’t deserve to be in an organisation that could and should be different but now is just being absorbed with the commercial disease! If I’m reading the story right, it also means that Heart, Capital & Smooth don’t even have to provide a local drivetime programme as it states that only a 3 hour programme needs to be local within the 6am to 7pm period on weekdays. It doesn’t specify that it has to be a breakfast or drivetime show meaning the local programme could be relegated to the off-peak period (either 10am-1am or 1-4pm). I have to agree with some of the other comments though that the BBC should provide a new service for those being displaced and switching off because of the identikit commercial services. Yes,that’s correct-your station could just have a locally made show from 1-4pm with the rest networked from somewhere else if they are putting out a news bulletin including local content between 6am and 7pm.Also There doesn’t need to be a local show at the weekend anymore.If that goes the way of what happened on AM they will shunt that show into off peak and might even voicetrack it-not that there would be much except music,speed-links and ads between 10am and 4pm-Anyway.This is just the first stage,in a couple of.years they will be asking for it to be local news only,everything else networked and,of course,most of the studios will be shut and news come from a central hub somewhere,great isn’t it!. What exactly is left for OFCOM to supervise nowadays then ..? Local news. If a show is locally produced it doesn’t mean it has local content or a live presenter, it could be just voicetracked one liners. UK commercial radio is in a really very sorry state. Less presenters. Hardly any local news (if at all), 3 stories of travel during each bulletin (probably not even about your local town), narrow repeated playlists, etc. What a car wreck! Who would want to work in it, let alone listen to it. UK Commercial Radio is dying as they simply do not, or even want to, compete with the variety available elsewhere. How long before Global and Bauer network their breakfast shows (I’d say by the end of January 2019)? So sad. RIP. In the real world – highest ever revenues (up 12.5% year on year), 35.8 million weekly listeners (more than the BBC), and a 45% share of listening compared with the BBC’s 51% (the narrowest gap since 2003). If all the regions were guaranteed an opportunity to host a commercial station that was broadcast all over the UK, there would be at least have been some crumb of comfort. But the way things are going it’s marching relentlessly towards all UK based commercial stations being 24/7 networks from London, and even all the news bulletins coming from London. Is London the centre of the universe or something? We are now on the verge of a pathetic 3 hours per day local or regional shows on otherwise 24/7 national commercial networks. What next? Local news, weather and travel bulletins limited to Breakfast and Drive, and an increasing number of national news, weather and travel bulletins? It’s really scandalous what has been going on. The IBA would never have caved into Global’s and Bauer’s demands the way that ofcom have. The IBA would have done exactly the same because the DCMS are their paymasters. The DCMS have asked Ofcom to make these changes. Ofcom are – supposedly – a body independent from government. They could have politely told the DCMS to get stuffed. If they had any balls, which they don’t. Hit’s Radio Leeds… and so on.